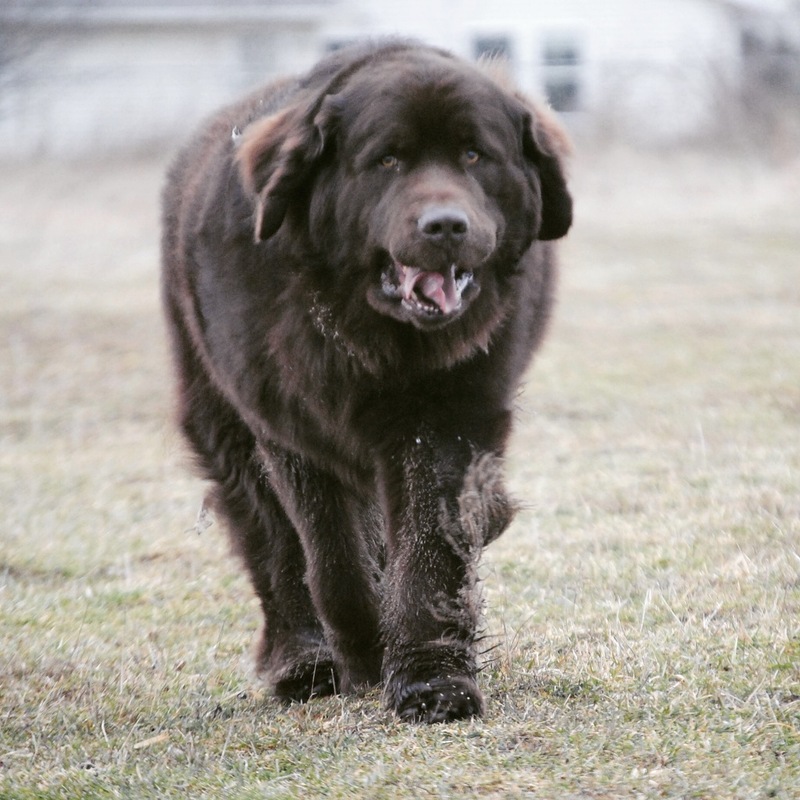 There are two terms used to describe the Newfoundland that seem to be a double-edged sword with this breed. These terms are gentle giant and nanny dog. It’s true that Newfoundlands can be gentle giants and it’s true that Newfoundlands can be great with children. 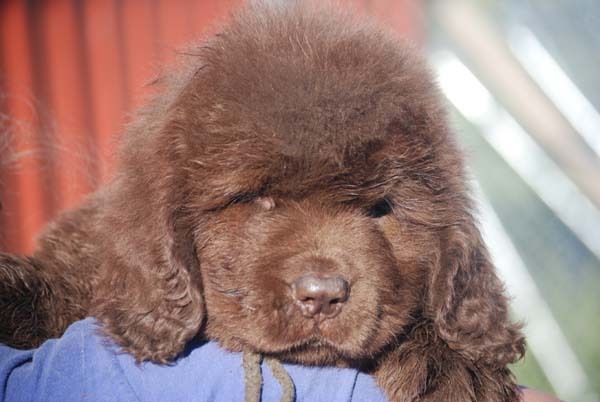 However, many Newfoundlands just don’t come out that way, they evolve into those traits over time. Before they get there they need to go through the different stages of life. I’ve been blessed enough to experience the full life of a Newfoundland more than once. Some of my Newfies went through the 4 stages easier than others. (Ahem….not Leroy). These 4 stages are puppyhood, adolescence, adulthood and the senior years. What could be better than a bouncy pile of fluff hopping through your house?! The ginormous paws, the puppy fuzz, the puppy breath I can picture them all in my mind! This is a fun stage where you get to carry, snuggle and get to know your new fluffball. There are naps, there’s playtime, teething, and growing! In this stage, you get to literally watch your puppy grow overnight and you’re overcome with excitement that you finally have the dog that you’ve always dreamed. And there’s potty training and more potty training and more potty training. 9 months – 3 years. Perhaps the stage that you hear the least about because it is the most trying stage of a Newfoundland. It’s the terrible 2’s combined with the teenage years. Your cute adorable pile of fluff now looks like an awkward, fifty shades of brown/black dork. The dog is mouthy, clumsy, and suffers from an acute onset of selective hearing. 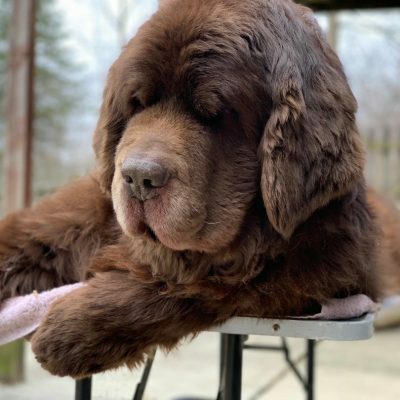 You might think that your breeder forgot to add in the gentle giant gene as you watch a 100-pound bear knock over everything that stands its way. THERE IS NOTHING GENTLE ABOUT THIS STAGE. Your Newfie is now finding himself/herself. They are becoming more independent. They are full of energy. The only difference between them and any other breed of dog at this stage is that they are MUCH bigger. They are extremely impressionable at this time and learning their boundaries. While this may be a trying time it’s also the stage where you’re introducing your Newfie to new things which can be quite fun. You’re socializing them. you’re teaching them basic commands. You are teaching them how YOU want them to behave. This is the stage where you introduce them to water and let them do their thing. Towards the latter part of this stage, you might even be introducing them to draft work, therapy work…etc. They are a lot of work at this stage and they need to be challenged and stimulated but the work that you put in will be very rewarding in the next stage. TRAIN, TRAIN, TRAIN. While some adolescent remnants may remain, you now have an adult dog. Most likely your Newfie has found themselves by now and is settling in. All your hard work and training is paying off and for the most part, you know what to expect and they know what to expect. Sure there’s going to be a few more trying times but now it’s time to enjoy the Newfie life. You can see that gentle giant finally shining through and the angels above start to sing, Hallelujah. They are finally done growing and their very smart brain emerges once again. You’re used to going out in public and not getting far because even wants to steal a glimpse of your bear dog. 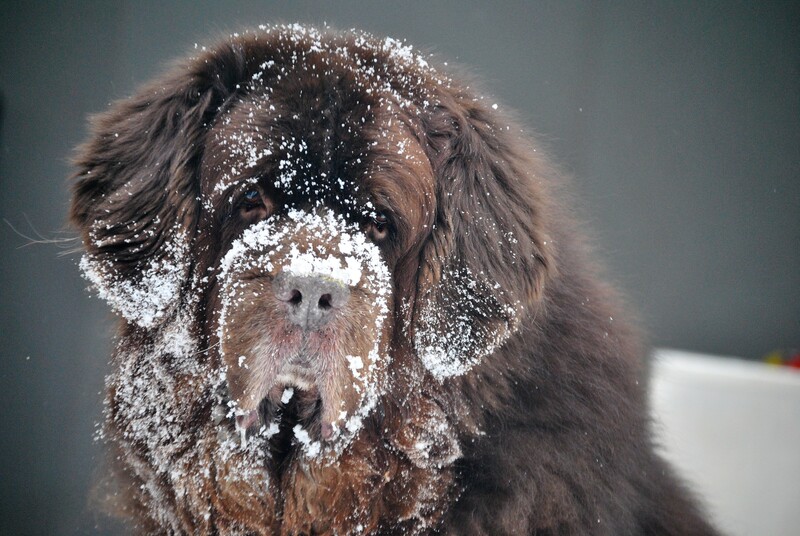 You begin to understand that a Newfoundland is more than a dog, it’s a lifestyle. Welcome. he grey on their muzzle starts to appear and you’re reminded how short life is. You swear to cherish every single moment. I forget about the broken nose you gave me, the time you ran away, the lamps that you broke, now I just want you to be here forever. They start to slow down, maybe limp a little because their big joints are getting tired. Instead of long walks, it’s long sits out in the driveway or a drive to get ice cream. It’s sweet sugar lip kisses every morning and every night. It’s belly rubs, massages, and naps. You begin to transform your house to make life easier for them and you’re always close by in case they need an extra boost. I think this is the stage when your heart actually swells with love. Cherish it. When getting a Newfoundland it’s so important to remember that they go through different life stages. Very few Newfoundlands start off as a gentle giant or nanny dog. Newfies evolve into these traits and every dog is different. 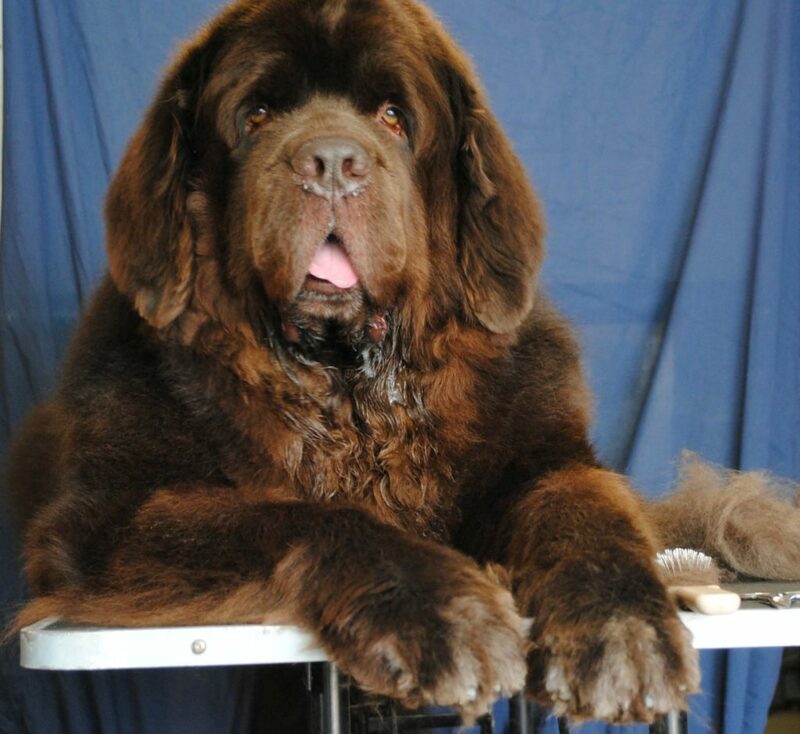 The most trying stage of a Newfoundland is going to be the adolescent stage. Most Newfies mature slower than other dogs and this can feel like a very long and tiring stage. This is the stage when a lot of Newfies will end up in rescue because their owners weren’t prepared for a giant adolescent dog. This is also the stage where I receive a lot of emails from people who are struggling with their Newfie. You need to put in a good amount of effort in this stage or you’re going to end up with a Newfie gone wild. I can give you as many tools and suggestions that I have but you have to be able to put in the work and training like the rest of us have done. If you want the pot of gold at the end of the rainbow, you’ve got to go through the stages to get there. Sorry about that little rant but I have 2 senior Newfs that I have invested a lot of time and energy on and it wasn’t always easy but I would do it over and over again in a heartbeat. I’m not putting blame on anyone who is experiencing a tough time with their Newfoundland. 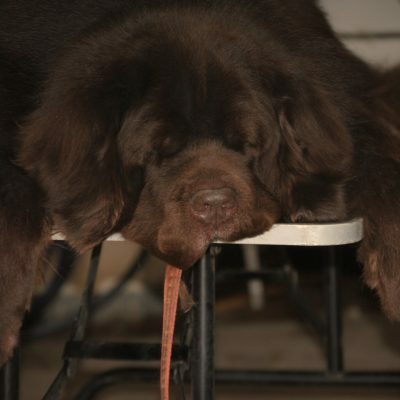 Perhaps the blame lies in all the articles out there about Newfoundlands that fail to mention the adolescent years. This blog has been around for over 7 years. 7 years ago Leroy was an adolescent and most of his stories are documented somewhere here. I believe there’s even a post titled the “Not So Gentle Giant.” I wrote about the broken nose, fat lips, fights between male dogs, Leroy jumping on children and the concussion I got when both the boys pushed me down the steps. I haven’t forgotten those posts, they’re still fresh in mind but we’re in a different stage now and I’m enjoying that. You’ll get there too. p.s. The ranges in the above stages are based on my personal experience. Individual Newfs may vary. Want more? Check out So You Think You Want a Newfoundland? Here’s 9 Things You Should Know. 10 Tips For Training Your Newfoundland. OMG you are so right!!!! Over the more then 35 yrs of having a newf in my life it has NEVER been or I’ve never had a dull moment for sure! From the very first to our current boy Luke they have added more then a few grey hairs to my head, but as you so beautifully point out the love they give far exceeds those “other” times. Give those senior boys of yours a big smooch from me! The adolescent years are tough with dogs and humans but once you are through those years, if you do it right, you are rewarded with a wonderful creature that can indeed be your best friend. Your senior stage segment is such beautiful sentiment. I really enjoyed reading it and you captured exactly how I’m feeling with my 12 year old girl Bayla. It’s funny as she and I are both working on figuring out this stage together. I’ve started using a ginger lead as she has fairly rapidly progressing degenerative arthritis. We are doing lots of things to keep her comfy holistically and with proper meds. But the reality is she’s 12. Anyway- your summary really captured my mind and heart for Lady B at this juncture. Thank you. Yes, thinking back on my first newfie, I can definitely see the four stages. He passed away in my arms at 11.5 years, taking a part of my heart and soul with him. I’ll never get over loosing him. He taught me a lot, just as I taught him a lot. He didn’t teach me how to live without him though. A few years passed by and I’m on my second newfie. We are in the full blown adolescent stage and he is so different from my first newfie. There are some things that are the same, but he is different too. He is his own wild, goofy, curious, loving self. I’m owned by a newfie and cherish every minute with him. They aren’t with us forever and I’m sure when it’s his time, he will take the other half of my heart and soul. I’ve had my heart taken by one too and I know exactly what you’re saying. My clumsy (meant in the most endearing way) 8 month old girl tripped me down 6 steps this morning. As I lay on the floor holding my head, she lovingly plopped all 100 pounds of fluffy dog on my stomach and gave me kisses. Now I have a headache, internal bleeding AND and soaked in doggie drool. Ahhhh…true love! Great post!!! All true too!!! I think every dog has those rough adolescent years to get through. One needs to simply accept it, sit back, and try to laugh. One day some of those antics that made you cry will make you wish they would return. I couldn’t agree more and I know you can relate! Oh! My! doG! The adolescent stage! I think Ducky is still in it at times! ? But seriously, despite some of her brattier moments, she has really turned into a good dog! Our vet once said to me – when I was relaying an incident of the day before – that there was nothing wrong with Ducky. I had just forgotten that Callie and Shadow were both “wild child(ren)” at her age, too. (I think I even wrote a post about it back then.) I didn’t get to enjoy enough of the senior years with Callie; but Shadow’s almost 13 now, and I enjoy every moment of her senior years that I possibly can. Callie taught her well – how to deal with Ducky, how to avoid the dog daddy’s bad moods, how to snuggle with Mom, etc. – and she has truly taken over Callie’s earthly role of being my rock when all else around me stresses me out. Great post! Thank you for sharing your experience with this breed. Hi there, thank you for the awesome post. 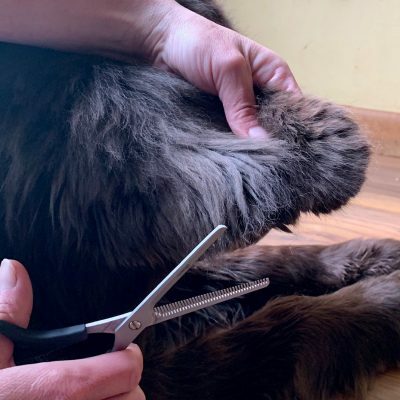 We still have a LOOOOOOOOONG road ahead with our boy 🙂 Our Newfie, Baloo, is at 5 months now however he is losing big amounts of fluff. Is this normal at this stage? This is a beautiful post. My girl Glory is over 10 years old, so we’re definitely in the Senior Stage. For me, it’s much more difficult than Adolescence or any other time. Glory has had medical issues her whole life, and we’re dealing with a number of conditions now. It’s hard to see her slowing down, to know that, no matter what we do, her body just doesn’t work as well as it used to, and that we have limited time left together. It kills me a little to even think about it. I love her more than I could ever put into words, and I tell myself to stay strong because she needs me. I don’t know how I’ll get through losing her, and I don’t know if I can go through this again. But I wouldn’t trade a moment with her for anything, and I will truly cherish all the time Glory and I have left together. She and I have a soul-bond. It is a privilege to be her person. We have our fourth Newfie. Misty is now 11 years young. No hip problems, arthritis, just a little slow. However, we have a rescue lab mix that someone gave us and she keeps Misty on her toes. I plan to get another Newfie. Just love them. We use to breed German Shepherds and I love them, but Newfies have my heart. We had three daughters and I asked my husband if he wanted to try for a son and that is when we got our Brown male Newfie and it was love at first sight. Fortunately, not one of them was a big drool machine. Your statements were spot on.